Creating an infographic from your research might seem to be a very strange idea. In this article, I want to explain why it is not such a bad idea and how to create a good one. As the notion of impact gets high on every academic and institution’s agenda, innovative research dissemination formats are everybody’s concern. We all know that demystifying the content of heavy academic work is a tough task. As authors, we are immersed into our work, which took us months or years to craft, get out there and, ultimately, in the best cases, publish. Once the whole hassle of fighting for this article (collecting data, writing up, submitting, revising, answering comments, editing, etc.) is over, all you want to do is relax and see the citations come in. However, digital dissemination of research content is increasingly useful in attracting citations. This is evidenced by the growing popularity of research blogs edited by individual researchers, research groups, and universities, schools and research organisms. Why does everyone bother to simplify their academic work into blogs and infographics, if this is not worth it? In my own experience, crafting an infographic from a piece of research has been a challenging, yet very rewarding effort that helped increase its visibility of my work on social media, a way to get more citations in the future. It was challenging, because a) I had never done an infographic in my life, didn’t know where and how to start and b) because it was like trying to fit an elephant in a match box. In the end, it felt like I had created a nice visual abstract that my little cousin could understand. 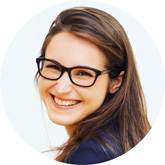 (Laurence’s infographic “The Real Online Consumer Engagement Measured” is available here, alongside her blog on her JMM article). Create a story. I probably created 6 different versions of my first infographic before it was decent. It was always too long, too heavy, too wordy. In creating a story for an infographic, you have to be as synthetic as possible, and really focus on the few key ideas you want to share. I personally started with the big idea, gave a few cues as to why it is important, a line or two about how I went about it, and then used a bit more space for the actual findings and implications. The flow of the infographic does not have to be linear like a text: there can be boxes here and there, you can line out a reading path to follow with arrows, etc. Usually, infographics will be long vertical pictures, so better stick with a top-down reading flow. But most importantly, don’t write long sentences and favour keywords, stats, and visuals to get your point across. Think of the big idea. The headline of the infographic has to be very explicit, catchy and simple. The big idea that has to feature on your infographic is not necessarily your beloved theoretical contribution. Again, think broader than the narrow academic community that is your organic paper audience. For instance, I called my infographic “The real consumer engagement measured”, although I never claimed in my paper that my measure was more real, or more perfect than another one. However, this is was clear, mainstream shortcut for the actual positioning of my paper. Think of your audience and what they expect from an infographic. Which outlet is your infographic going to appear on? 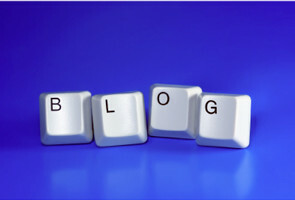 Is it your personal blog, is it on a Journal’s blog, like the JMM’s? Or on your university/research groups’ site or page? Quite often, the aim of the infographic being to make research accessible, you have to think further than the traditional academic audience. Readers might include students and professionals, for instance. Most often, even if you are speaking to an academic-only audience, these people might not be familiar with your research. Remember also, that if they are committing to reading an infographic, they expect something easy to visualise and understand, otherwise they would read your article straight away. Select a tool to do it. 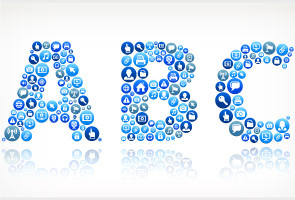 There are plenty of free (-mium) infographic tools out there. I used Easel.ly but you may also find what you need with Canva, Venngage, Piktochart, or another one of your liking. You may also have a designer at hand that will do it for you, with a good brief. Or, you can create it yourself from scratch with Illustrator. I’m a complete rookie in web infographics but wanted to do it myself, so I went halfway with the infographics editors and it created a very decent output. The point is, you don’t need specific technical skills to do it, but choosing your tool is a first decision to get it started. Some from the pen-and-paper generation might want to draft it on paper first. By all means, do it if it helps. Visual, always visual. Infographics can and should have both word and figures on them, but the key point is that it should be easy on the eye and simple to read. It typically is very hard for us academics to think visually rather than with words: we are trained to write long stories, not make visually attractive content. This was probably the most challenging part of my experience: translating ideas into icons, or at least, in my case, add visual icons to support and explain the text. Especially when dealing with very abstract concepts, it is hard to find appropriate visual representations for them, but try and include as many as possible. Visual dictionaries and icon/pictures repositories can help you tremendously with this job (I love The Nounproject for instance). Hopefully these few tips have inspired you to create your first research infographic and helped you figure out how to get started. You can find more guidelines here (including an infographic!) 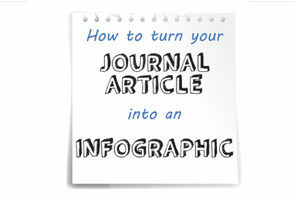 on how to turn your journal article into an infographic from the JMM Editorial Office. Journal of Marketing Management shares our top 7 tips to help authors turn their journal article into an infographic.